NB: On the Rønne – Ystad route: The ferries can take unaccompanied trailers up to 34 tonnes and driverless lorries up to 40 tonnes. Maximum height, 4 metres. 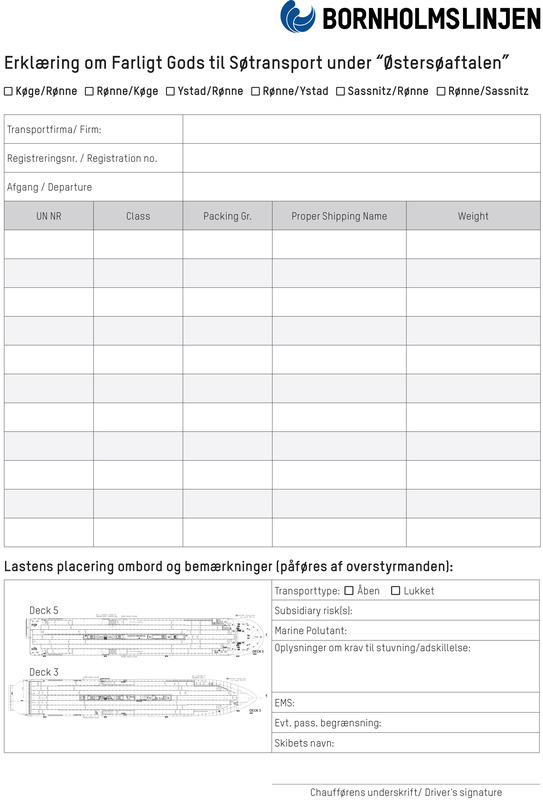 • Prices are available through Bornholmslinjen’s booking flow and depend on whether the lorry is empty or loaded. If you have any other questions, you are welcome to contact us at salg@bornholmslinjen.dk or call us on +45 70 90 01 00. 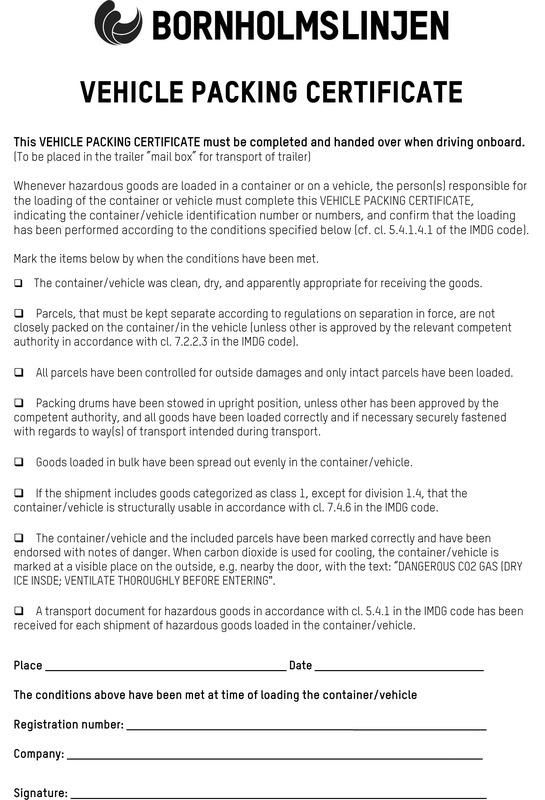 Please follow the below links to find the required forms regarding Dangerous Goods and Vehicle Packing. Both documents need to be filled in prior to check-in at the port.